This 4/5 bedroom cape is move in ready and has the potential for an additional 800 square foot in-law suite with bath and kitchen. Posted square footage does not include the potential living area that is currently being designated as storage space. The downstairs 5th bedroom could also make an ideal family room. Features include eat-in kitchen, formal dining room, Ontario stone fireplace, 1st floor master bedroom, and excellent curb appeal. The home has been in the same family for 66 years; it is priced below assessed value to settle the estate as quickly as possible. 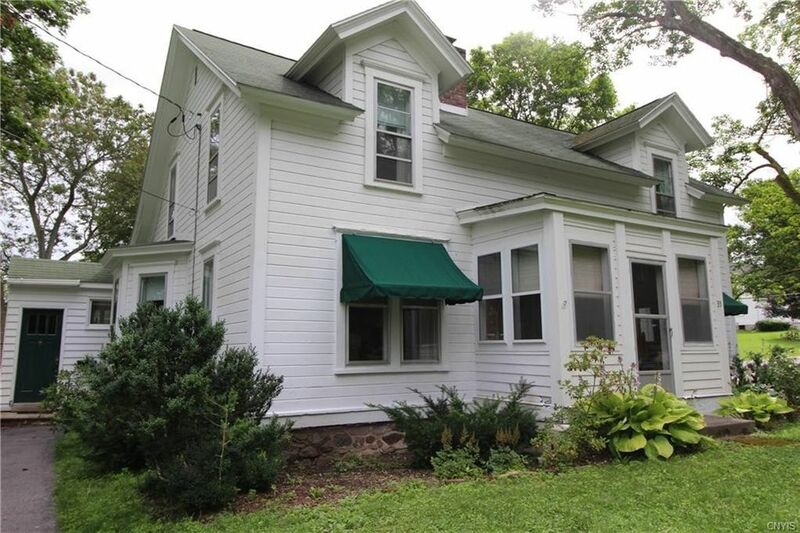 The location is ideal; the Historic Erie Canal village of Jordan has many conveniences and attractions just a short stroll away; only 10-20 mins from Syracuse, Auburn, Baldwinsville and Skaneateles.